Land Rover’s Discovery Sport set a record for single-year sales in 2017 by selling 126 078 units – more than any other Land Rover in the past 70 years. The new Discovery Sport Landmark celebrates the model’s success with a colour and trim combination unique to the special edition. The Landmark Edition is available in three colours – Corris Grey, Narvik Black and Yulong White – all topped with a contrasting Carpathian Grey roof with a panoramic glass panel. At the front is a distinctive bumper design with bolder styling and larger air intakes. These intakes, together with the centre grille and side fender vents, come with a special Graphite Atlas finish. Also unique to the Landmark Edition is a set of 19" split-spoke 'Mantis' wheels painted Gloss Dark Grey, while Ebony headlining and grained leather seats act as striking counterpoints to Dark Satin Brushed Aluminium trim finishers in the interior. Standard equipment includes an 8" touchscreen with navigation, front and rear parking sensors, ambient interior lighting, six-way adjustable front seats, 60:40 second seating row with slide and recline function and a 10-speaker sound system among many others. The Landmark Edition is available exclusively with a Td4 132kW diesel 2.0-litre Ingenium engine and a 9-speed automatic transmission. Also standard is All Wheel Drive and Terrain Response which adapts the Discovery Sport’s engine, transmission, differentials and chassis systems to maximise traction and driveability in varying conditions. A choice of four settings – General Driving, Grass/Gravel/Snow, Mud/Ruts and Sand – ensure the vehicle is sure-footed in all types of terrain. 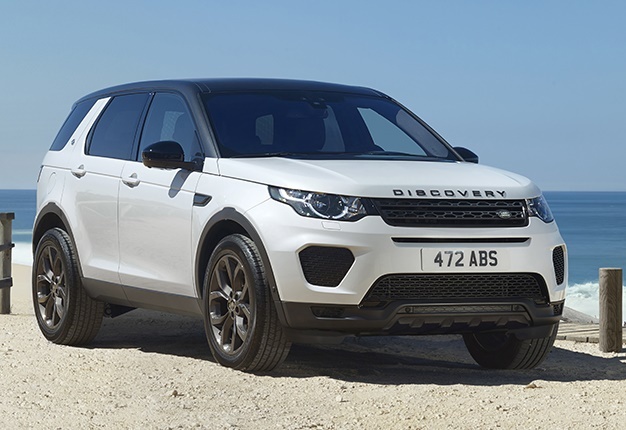 The Land Rover Discovery Sport is available in South Africa now with pricing starting at R672 600.